Planning a trip to Pigeon Forge Tennessee and The Great Smoky Mountains (GSMNP)? You deserve an unforgettable experience in one of our cabins! 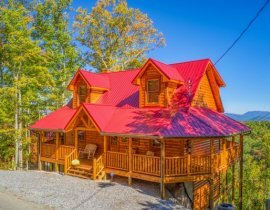 We are the area's expert in Pigeon Forge cabin rentals and we know better than anyone: having your very own cabin can make your trip the experience of a lifetime. 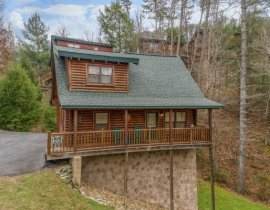 Whether you're searching for a Honeymoon Cabin or 10-bedroom Luxury Lodge with a view, we have the perfect Pigeon Forge TN Cabin Rental for you! Instead of spending your mountain holiday in a tiny hotel room – stretch out in one of our spacious Luxury Cabins where you can spread out and enjoy the mountain views. Feel like staying in? How does soaking in your own private hot tub, while looking over the majestic mountains sound? How about snuggling by the fireplace with that special someone? 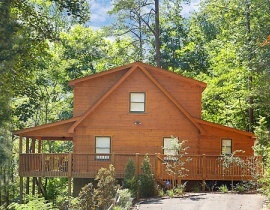 With one of our cabins in Pigeon Forge, the options are endless. 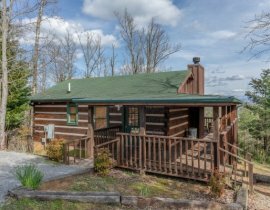 With over 400 cabins to choose from, ranging from 1 to 13 bedrooms, there is no doubt that you can find the perfect cabin for your getaway to Pigeon Forge Tennessee. 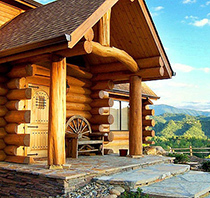 From cozy one bedroom cabins in the mountains to luxurious lodges that can sleep up to 40 guests. Pet friendly cabins in Pigeon Forge are available for guests that love to travel with their furry friends. 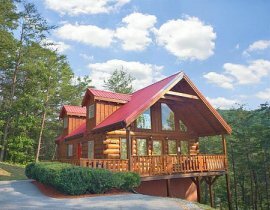 From Value Cabins to Luxury Cabins and everything in between – we have the ideal cabin for your vacation and your pocketbook! 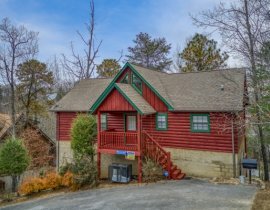 It is no surprise that American Patriot Getaways is the #1 choice for cabins in Pigeon Forge, so don't wait, book yours at . As you drive along the Parkway in Pigeon Forge you'll find over 40 attractions sure to keep everyone entertained. A few favorite outdoor activities include miniature golf, go karts and even at Outdoor Gravity Park! Indoor activities might include a trip to WonderWorks or the Titanic Museum Attraction. Regardless of your age or interest you are sure to have fun.